Top property developer SP Setia Bhd set up a Corporate Responsibility Think Tank late last year to map out a long-term strategy towards fulfilling its corporate social responsibilities. For years, everyone in the public-listed group, from the directors to the most junior employees, have been involved in community work, preserving the environment and nurturing a caring community. The best part is that staff members enjoy their voluntary work, with many even performing at the company’s annual dinner and other functions. Datuk Voon Tin Yow (right) and executive director Khor Chap Jen. Voon said the group’s activities and approach were reflected in the acronym “ECO” where “E” stands for environment, “C” for community and “O” for organisation. Environment: Its focus is on the 3Rs – reduce, reuse and recycle – and it pledges to never develop projects on environmentally sensitive land. It recently held a 13-week long Setia Indah Recycling Campaign initiated by Setia Indah Residence Club, Southern Waste Management (SWM) and the Johor Baru City Council. Some 1,200 residents turned up every week with old newspapers, magazines, plastic bottles and aluminium cans to exchange for cash. Voon said 34 tonnes of material were collected during the campaign and SWM paid out RM9,348 to the residents. “We take into consideration how our developments could impact the environment. For example, at Setia Eco-Park we try not to cut too much of the terrain but keep as much to the original contours as possible. We also try not to disturb the eco-system and change the drainage system too much,” he added. Other efforts include designing offices that are energy-efficient such as the new Setia Corporate Tower and the Setia Eco Gardens sales office. Community: SP Setia prides itself in being a developer of communities where people can live in harmony and interact closely with one another. With plenty of amenities, residents can “live, learn, work, play” in the same township. In the case of its 4,000-acre Setia Alam in Selangor, the company has set aside some 200 acres for a commercial centre and amenities for the residents. In the adjacent Setia Eco-Park, it is building some 3,000 high-end homes and even built a link to the North Klang Valley Expressway. “We also take into consideration the travel patterns of the residents and plan our development in such a way that residents do not generate too many trips. All our projects have amenities such as parks, schools, a sports academy and shopping malls. We also invest heavily to provide top-notch infrastructure for all our projects,” Voon said. Its biggest contribution to society is via SP Setia Foundation, a charity trust established in January 2000 to provide financial assistance to needy individuals and charitable bodies. A core activity of the foundation is the Setia Adoption Programme that has adopted 2,300 students of all races from 119 primary schools. The programme provides school bags, stationery, school uniforms, books, school fees, canteen meals, and tuition fees worth RM700 to RM800 per pupil annually up to Year 6. A series of holistic activities like home visits, holiday camps, UPSR motivation camps, dialogues with parents and excellence awards night are organised under the programme. Voon said the foundation had raised RM35.5mil since 2000, with group managing director and chief executive officer Tan Sri Liew Kee Sin personally donating RM300,000 a year. The group alone donates RM1.5mil a year to charity. The foundation has spent over RM11.6mil in the Setia Adoption Programme from 2000 to 2007. In 2003, the programme was extended to secondary education where straight A scorers in the UPSR examination would each receive RM1,000 a year. At present the group has adopted 168 such pupils. Organisation: Hewitt Associates, Asian Strategy of Leadership Institute and Malaysian Employers Federation have voted SP Setia the Top 10 Best Employer in Malaysia for 2003 and 2005. Voon said its many staff benefits include interest-free study loans, free lunch boxes for all employees on normal working days (annual cost is RM60,000), three paternity leave days and 60 maternity leave days, staff discount on the purchase of a residential unit for every two years of service, merit-based performance appraisal system which rewards high productivity, outpatient medical treatment and check-up reimbursement for employees and their family members, including parents, spouses and children, and over 100 types of in-house and external training. “We also have an Employees Prolonged Illness Scheme whereby the company will continue to give full monthly basic salary for the first two months of medical leave; half pay for the second two months and no pay for the third two months’ leave,” Voon added. Someone once defined creativity as the act of turning new and innovative ideas into reality. In order to be creative, we need to be inspired, and one of the sources of inspiration for us in the property development industry is the Salone Internazionale del Mobile in Milan. The Milan International Furniture Fair is an annual affair that attracts furniture designers from all over the world who use the fair as a venue to showcase their latest creations. Visitors, who also come from all over the world, are thus given a glimpse of what they can expect for the home of the future. 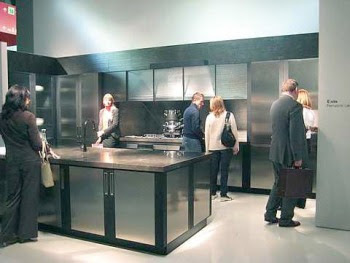 A team of us from SDB visited the I Saloni 2008 last month. The fair was held at Fiera Milano, also known as the Milan Fairgrounds, in Rho, just outside the city centre. Fiera Milano is an indoor exhibition area with eight huge pavilions covering approximately 345,000 sq m.
There is a central boulevard equipped with walkalators and flanked by exhibition halls on either side. 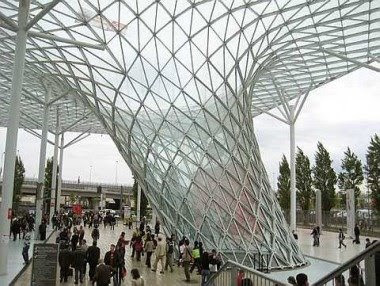 The roof of the Fiera Milano resembles a sail, made from glass and steel, making it a sight to behold. This year’s furniture fair featured 2,450 exhibitors. It was so well organised that in spite of the large turnout of 348,000 visitors, it did not feel overly congested. The exhibition was divided into 20 exhibition sections – too vast to completely cover in just six days. We, therefore, concentrated on the furniture, kitchen and bathroom exhibits, focussing on the high-end designer pieces in line with our local developments. Each exhibitor had at least one or two attention-grabbing pieces that were notable in their design and innovation. We observed that storage and the covering up of clutter was a big theme at the fair. Flou, a well known company that designs bedroom furniture showed off cabinets that looked like large upright trunks. Several variations of this were on display – one opened to reveal a vanity table with storage areas for personal belongings; while another opened up into a wardrobe; and yet a third concealed a writing table and bookshelf. Renowned furniture house, Minotti, had very cleverly designed large seats with flexible back rests that could be detached from the chairs and re-attached in several different ways, making the chair a versatile addition to any household. The furniture on display was generally stylish and well thought out. For example, there was a table made from an exceptionally thin and sleek piece of wood which, upon closer examination, revealed that it was, in fact, secured by bolts on the underside of the table. The kitchens that we saw featured open plans with island counter tops. Kitchen cabinets were mostly large, reaching from floor to ceiling and providing a generous amount of room for kitchen and pantry storage – the kind of set up that is ideal for keeping all kitchen wares out of sight, thus endowing the kitchen with a spacious feel. In many displays, the kitchen was no longer tucked away, but was integrated into the living and dining areas. Island counter tops, for example, were used as areas for food preparation as well as for dining and entertaining. What was also interesting were the many different types of cabinet mechanisms – some cabinet doors would slide to the side when open, while others would slide sideways and back, allowing the door to be completely hidden from view when ajar. There were also high-tech electronic kitchens on display – doors, for example, could be opened at the mere touch of a button; and in some cases, there was the total luxury of having a flat screen TV, a CD player and a radio incorporated into the kitchen set up – all very practical when you consider the kitchen as part of your living space. A lot of thought had also been put into bathroom storage. Like kitchens, bathrooms have become an “extension” of the bedroom space. A large proportion of the display featured space-saving ideas in bathroom accessories such as small side tables that open to expose storage space. The bathroom cabinets were generally very sleek-looking - some had large sliding panels that provided storage options for all manner of bathroom necessities including towels and toilet paper – a de-cluttering process that again gives a more spacious feel to the bathroom. In addition to the fair, we managed to visit several furniture stores around Milan. There, too, we found some engaging pieces. One kitchen cabinet manufacturer, Bulthaup, had cabinets, ovens and microwave ovens that were cantilevered from the walls. Overall, the trip was an interesting one – we saw a good mix of interesting and appealing designs which were, above all, practical. Our impression of Italian designers – in both the industrial design and fashion arenas – is that they have a natural flair for crafting first-class artistic creations. The dimensions of their products, the quality of materials used and the designs were superior in many ways. It is interesting to note that this design capital of the world attracts not only manufacturers and exhibitors to its fair grounds; it also draws a wide variety of young designers who flock to the fair for the SaloneSatellite, as well as various fringe events like the Zona Tortona held in the south western part of the city, where young designers participate in exhibiting their design ideas and projects. KUANTAN: Parkson Corp Sdn Bhd is expecting sales turnover of RM40mil in the first year of operations for its latest Parkson outlet at East Coast Mall here. General manager (marketing and merchandising) Raymond Teo said RM15mil had been invested in the outlet. “This is the third outlet in Kuantan and the 33rd in the country. I am also glad to note it is our third store launch within the first four months this year,” he said here recently. Teo said Parkson would be opening two more outlets this year - one in Kuala Terengganu by mid-July and another in Kota Baru by year-end. He said with the new stores, the company would see its retail space expand by 30% and be represented in every state except Perlis. “This is a special year for us as it marks our 21st anniversary. We are still growing with the nation and remain committed to being the best department store for all Malaysians,” he said. Teo said as the anchor tenant at East Coast Mall, Parkson occupied 105,640 sq ft over three floors. Parkson would constantly innovate, adapt and change to stay ahead and further strengthen its position in the Malaysian retail scene, he said. “We are proud to be the first commercial and travel square in the east coast to contribute to the Government’s initiative for the East Coast Economic Region. “In line with our corporate social responsibility programme, we have adopted six parks nationwide. They including Taman Kejiranan in Jalan Teluk Sisek, Kuantan,” he added. SHARES of property developers with key investments in Vietnam fell yesterday, led by Gamuda Bhd, on fears that the weakening macro-economic outlook for that country would affect property sales. "We are turning more cautious on Gamuda's property venture in Vietnam," Citigroup said in a report on Thursday, telling investors to sell the shares. House buyers in Vietnam face higher borrowing cost after its central bank raised the key interest rate to 12 per cent this month. The Vietnamese dong, bond and stock markets are all under pressure, with investors starting to cash out, worried by the outlook for the country's currency and its trade and current account deficits. Some analysts, including from Wall Street bank Morgan Stanley, are afraid that Vietnam may be heading for a currency crisis because its central bank has kept the dong too strong as inflation soars. "If anything, the focus of the potential impact will be on Malaysian firms with substantial exposure in Vietnam," Affin Investment Bank said in a report yesterday. Earnings of these companies may be eroded, and they may have to provide for diminution in investments, it added. Shares of Gamuda were the worst-hit on Bursa Malaysia yesterday among the Malaysian builders who have ventured into Vietnam. Gamuda tumbled 18 per cent in its steepest decline in a decade to close at RM2.45, although it is Berjaya Land Bhd, which has bigger-scale projects and higher share of earnings pinned on Vietnam, which could be the one most affected by a weaker property demand there. Berjaya Land shares dropped 3.8 per cent to RM5.10, while SP Setia Bhd, which also ventured into Vietnam recently, was down 5.7 per cent to RM3.96. "Gamuda fell the most because it has the biggest foreign shareholding. Most of the selling in Gamuda yesterday was done by the foreign funds," said Phillip Capital Management Sdn Bhd chief investment officer Ang Kok Heng. Ang believes that some investors may have overreacted. "Investors were too bullish when Gamuda first went into Vietnam, and now they are overly bearish," he said. Other builders with relatively smaller exposure to Vietnam also fell. WCT Engineering Bhd declined 6.3 per cent to RM3.26, while Ireka Corp Bhd was 3.7 per cent lower at RM1.05. PETALING JAYA: Construction and engineering group Gamuda Bhd may be in for some choppy times, given the company's exposure to the property sector in Vietnam, which is facing soaring inflation, a plunging stock market and a depreciating currency. The group, through Gamuda Land Sdn Bhd, is launching the 808-acre Yen So Park, with a gross development value (GDV) of US$1bil, this year. Its share price has dropped to the lowest in two months on concerns the company might face higher borrowing costs if property sales were delayed due to a tougher environment. Similarly, the share price of two other developers exposed to Vietnam's property sector, Berjaya Land Bhd and SP Setia Bhd, have also come under selling pressure. Gamuda shares tumbled 53 sen to RM2.45, SP Setia fell 24 sen to RM3.96 while Berjaya Land lost 20 sen to RM5.10. According to Vietnam's General Statistics Office, consumer prices jumped 25.2% in May from a year ago as food costs jumped 42.4% on a 67.8% rise in the price of grains, including rice. The price of housing and construction materials rose 22.9% during the period. Citigroup said in a report yesterday that it had turned more cautious about Gamuda's property venture in Vietnam due to the country's sharply deteriorating macro picture. It has a target price of RM2.57 per share after excluding the contribution from Gamuda's Vietnam property sales over the next two years. It cut its earnings estimates for the company by 27.3% to RM432mil for 2009 and 36.4% to RM537mil for 2010. Analyst Choong Wai Kee expects more headwinds ahead for the company's Vietnam projects, which will account for 58% and 82% of its property revenue in the next two financial years. Overall, property is expected to account for 39% and 45% of group revenue over the period. “The delays in property sales in Vietnam could also mean that Gamuda would have to rely entirely on borrowings to fund its initial infrastructure outlay,” he said, adding that the earnings and target price had yet to factor in any potential delays in the double-tracking project. Earlier this year, Gamuda and MMC Corp Bhd were jointly awarded the RM14.5bil electrified double-tracking rail project linking Ipoh to Padang Besar. Choong said the company might have to review its generous dividend policy due to the delay in the sale of its stake in 40%-owned associate company Syarikat Pengeluar Air Selangor Sdn Bhd. The company is a privatised water supplier with a capacity of two billion litres a day. Meanwhile, Aseambankers Malaysia Bhd analyst Wong Chew Hann told StarBiz that investors have over-reacted to Gamuda's overseas exposure. “It's now well below the revised net asset value, even after taking out the overseas property earnings,” she noted, adding that foreign shareholdings had yet to be sold. Wong said the fair value for the company, considering only the infrastructure assets and local property projects, should be RM3. PETALING JAYA: UEM World Bhd’s net profit rose 23.9% to RM60.75mil for the first quarter ended March 31 from RM49.02mil a year earlier, boosted by better performance at most of its divisions. Announcing the results yesterday, the group said revenue rose 7% to RM1.47bil from RM1.38bil while pre-tax profit improved 44.6% to RM143mil from RM98.8mil before. Earnings per share rose to 4.38 sen from 3.53 sen. Managing director and chief executive officer Datuk Ahmad Pardas Senin said in a statement the group had shown resilience so far this year despite the tough market conditions. “The group’s overall operating performance remains positive but we remain mindful of the current macro-economic challenges,” he said. Ahmad Pardas said material prices were going up and that it was crucial to closely monitor the group's costs and ensure the delivery of key projects. “It is imperative that we achieve this in order to stay on course in meeting our targets,” he said. UEM World said the engineering and other services segment saw revenue rising 7% to RM341.9mil from RM318.8mil. Its construction segment saw a 24% decline in revenue to RM433.7mil from RM573.5mil in the previous corresponding quarter. However, it managed to contain the costs, resulting in a 17% improvement in net profit of RM11.4mil compared with RM9.7mil a year ago. The group's healthcare operations reported a three-fold rise in net profit to RM18.9mil against RM6.3mil a year ago, underpinned by a 21% increase in revenue to RM309.7mil from RM256.1mil.